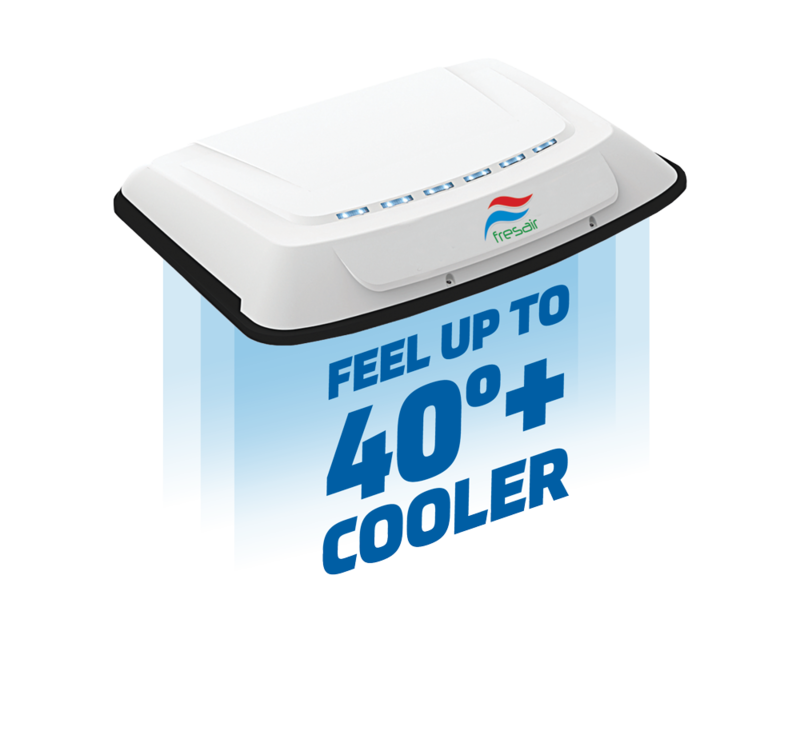 Feel up to 40º Cooler! 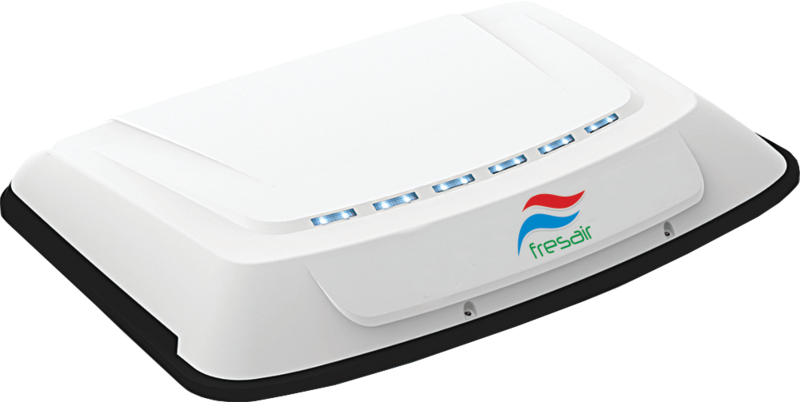 Fresair is a brand new, state of the art and eco-friendly rooftop air conditioning unit. Unlike traditional air conditioning units that demand high power and run on a refrigerant. 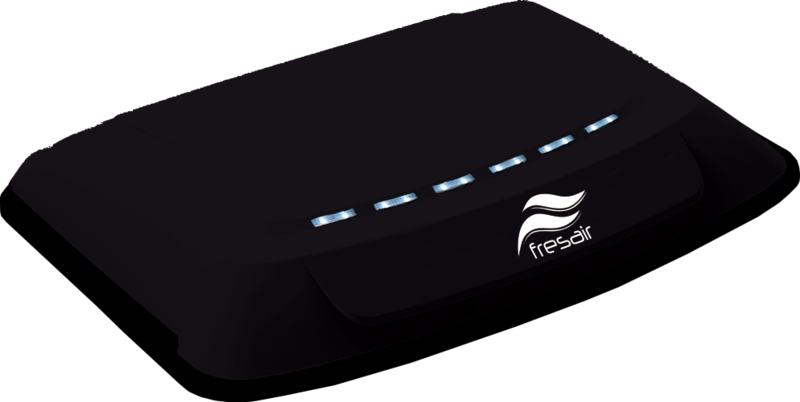 Fresair runs on regular tap water and is powered by the vehicle’s existing battery, drawing minimal power and providing cooling to the user of up to 40+ degrees! 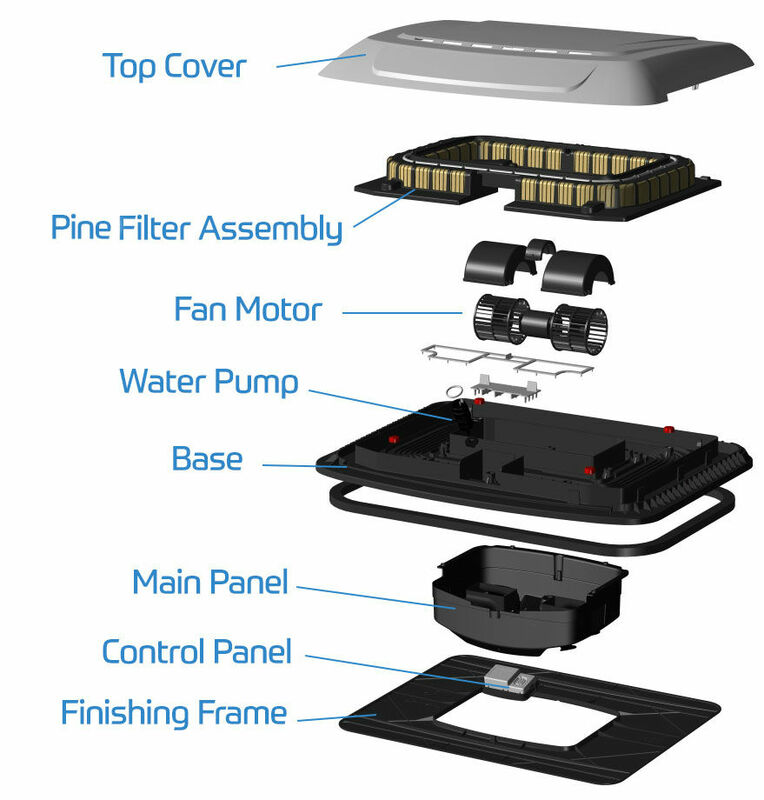 The roof-mounted Fresair system is patented and works by forcing air through a moist fibrous organic pine filter, which is both anti-bacterial and anti-fungal. The filter is circulated with water from a remote hidden reservoir. Just fill up the water reservoir, turn on the unit and go! The cooling effect is generated by evaporation and is triple filtered, feeling dry, unlike a typical “swamp” cooler or misting system. 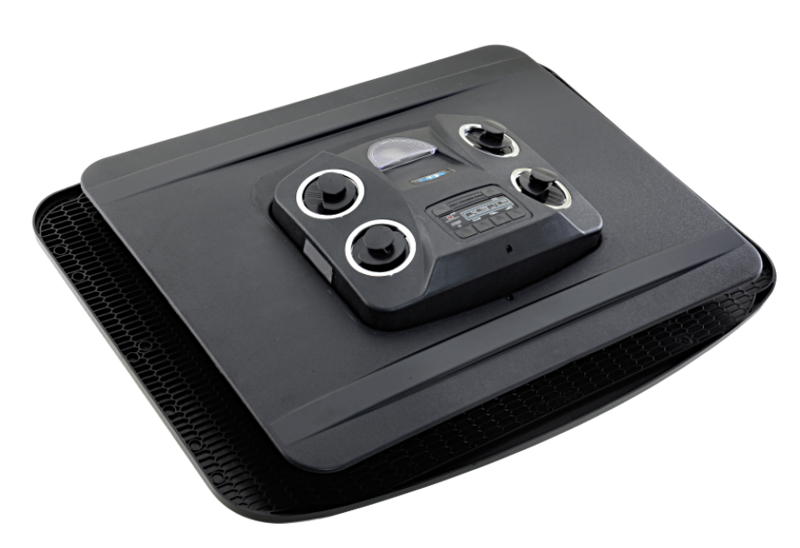 The unit itself is very slimline at only 3.7″ tall but packs a punch with four adjustable vents and our latest smart control panel safeguarding the system. It not only looks great but is also a completely green technology, even filtering dust and pollen out of the air. 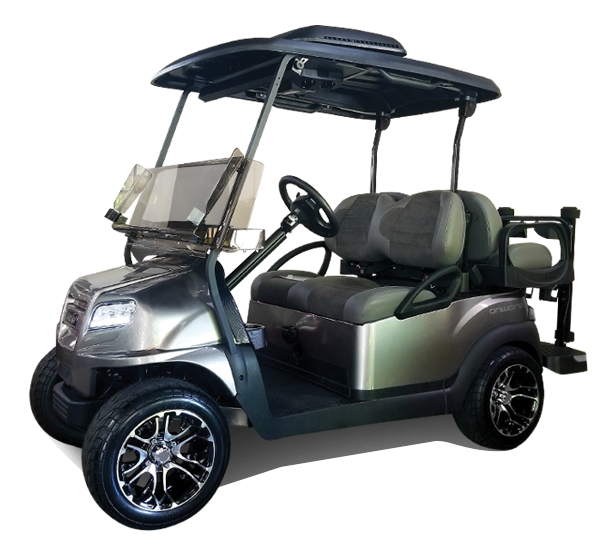 For golf applications, imagine extending your playing season to year round, even on the hottest days of the year, when the courses are empty and the rounds are cheap. It’s like having the whole course to yourself whilst playing in complete comfort! ABS plastic with UV protectant. 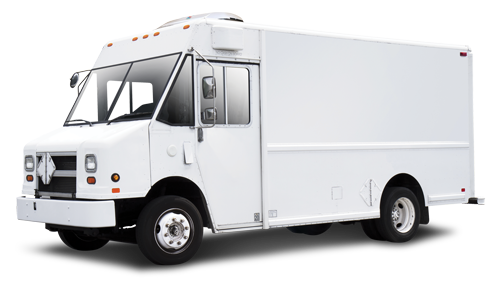 White covers can be custom painted at dealer level.